Although there are many causes of acute pancreatitis, the presentation is generally the same. The patient usually has several abdominal symptoms, such as severe abdominal pain that moves to the back, nausea, vomiting, and weakness. The condition is commonly a result of gallstones passing through the common bile duct and irritating the pancreas, causing inflammation. Other reasons for acute pancreatitis are abuse of alcohol or illegal substances, taking certain prescription medications, and immune conditions. The diagnosis of acute pancreatitis is established based on physical examination, blood tests showing elevated pancreatic enzymes (amylase and lipase), and CT/MRI scans showing inflammation and swelling around the pancreas. For uncomplicated pancreatitis, acute pancreatitis surgery is not indicated and most patients recover fully without any residual problem. In certain circumstances the pancreatitis does not respond to medical management and the disease can progress rapidly to a critical condition. In such cases, the patient needs to be transferred into the ICU and possibly needs breathing support on a ventilator and support of blood pressure with multiple medications and intravenous fluids. Initially this process is due to breakdown and self-destruction of pancreatic tissue and no bacteria are involved. If infection of the space around the pancreas occurs, this poses a great risk for sepsis and that is why antibiotics are almost always used in these cases. Complicated acute pancreatitis can be a devastating and deadly disease despite all medical efforts. Acute Pancreatitis Surgery is required only when the infection around the pancreatic bed cannot be controlled any other way. In the acute phase it is almost always a significant operation requiring drainage of all the infected areas and removal of all necrotic (dead) tissue of the pancreas by the surgeon. These surgeries are very complex, and recovery usually takes a long time. In addition, the surgery often has to be repeated several times to clear all the infected areas. Chronic pancreatitis is a debilitating condition associated with persistent pain and other abdominal symptoms. Typically patients have a long history of the condition before they are referred to a surgeon. Careful preoperative evaluation by CT, MRI, ERCP (endoscopic retrograde cholangiopancreatography) scans and an extensive discussion with the patient’s gastroenterologist are necessary to determine if the patient is a candidate for surgery. In some cases, the chronically affected tissue is confined to one section of the pancreas. These patients benefit greatly from partial pancreatic resection surgery, such as Distal Pancreatectomy or a Whipple Procedure. This type of surgery removes the disease and thus resolves the chronic pain. When the pancreatic duct is uniformly enlarged around a chronically inflamed pancreas and all other noninvasive techniques have failed, a Puestow operation (also known as a lateral pancreatico-jejunostomy) is indicated. Chronic Pancreatitis Surgery involves opening the pancreatic duct and connecting it to a loop of small intestine. As a result the pressure inside the duct is relieved and the pancreatic enzymes are allowed to enter the intestine freely. The patient’s pain resolves and digestion improves. Other surgical procedures are available for chronic pancreatitis. 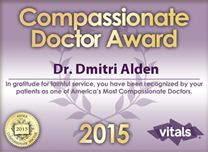 Please contact the NYC liver & pancreatic cancer surgeon Dmitry Alden, MD and he will be able to guide you and select the proper treatment for you. Most patients referred to us actually do not need an operation and are successfully managed by our skilled gastroenterology team. The success in managing complicated acute pancreatitis depends completely on a coordinated team effort. A knowledgeable and experienced critical care team plays a key role in treatment, by anticipating the disease’s next move and staying one step ahead. A skilled interventional radiology team can save the patient from another operation by draining the infected areas using a minimally invasive approach. Patients and medical professionals from America and around the world seek out Dr. Alden’s specialized best in class individualized treatments and services including his expert surgical management of the patient’s unique condition.